I am Durgaprasad Bandi, I am a Social Entrepreneur, Founder and CEO of NamasteKisan (www.namastekisan.com), it is an exclusive marketplace for agriculture sector, We as a company are reducing and eliminating the chain of middlemen by connecting them to direct consumers, Rather than just being an e-commerce portal we are going an extra mile to support our farmers through our hand holding services, Our features and services enable even an uneducated farmer to get best benefits through our platform. I got privilege from GFIA (Global forum for innovations in Agriculture), Worlds Largest Agri Expo happening on March 20 - 21st at National Exhibition center, Abu Dhabi. 3.A hard-copy of the latest agriculture report from Oxford Business Group. 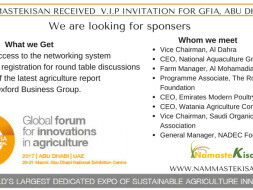 I Just need to arrange my Travel and Stay there, I don't need to pay any entry fee at Exhibition, I have planned to stay 2 more days in Abu Dhabi to meet locals and work on leads generated during Exhibition. 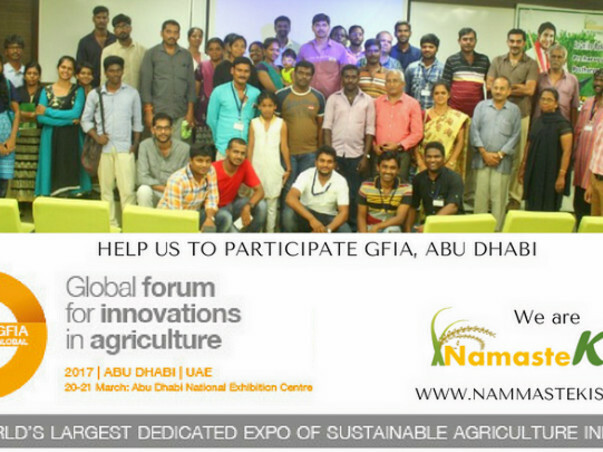 Please Help me to participate in this exhibition, I am going with hope of 300+ farmers. 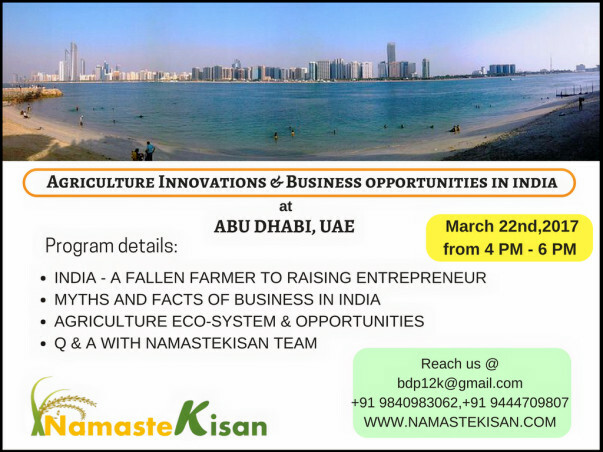 I am planning to organize the Paid event post exhibition on 22/03/2017 to build the relation with locals and International entrepreneurs. programme details are given above posters. For all my contributors I will share the reports and send you the Import & Export opportunities presentation soft copy to your mail Id. Support me by sponsoring and sharing. Thank you very much for taking your time to read this. No.A6, Mithra sowbagyam apartments, Kamarajan street, Sendurpuram, Katttupakkam, Chennnai - 600056.